At Anvil we have gained a reputation as a wire brush specialist. Wire-brush.co.uk is our dedicated wire brush website offering a comprehensive range of high quality wire brushes available with a choice of either Brass, Steel, Stainless Steel or Nylon Fill. These brushes have many applications including cleaning, de-burring and polishing of many materials such as steel, stainless steel, non-ferrous metals, wood and plastics. Anvil Tooling has gained a reputation as a wire brush specialist. At tube-brush.co.uk we showcase our comprehensive range of high quality wire tube brushes available with a choice of either Brass, Steel, Stainless Steel or Nylon Fill. These brushes have many applications including cleaning, de-burring and polishing of cylinders, tubes, pipes, sleeves and bores etc. Tools with a Mission enable people to earn a living and to support themselves. A switch from aid dependency to self-sufficiency is impossible without help. TWAM gives this help by collecting and refurbishing tools and equipment no longer required in the UK and sending them overseas. Tools for Self Reliance groups collect old and unwanted hand tools and sewing machines from all over the UK. We clean repair and sharpen them, and send tool kits and sewing machines to grass roots community groups in several African countries. We mostly fund our organisation by selling high quality refurbished garden tools here in Crickhowell, south Wales. Specialising in edge tools such as billhooks, felling axes, slashers and hatchets. We also stock wonderful garden spades, forks, rakes, hoes, sickles, scythes, shears and other tools such as carving chisels. Buy Vintage.co.uk always has a great range of obscure and unusual vehicles for sale, including great pictures and historical facts. 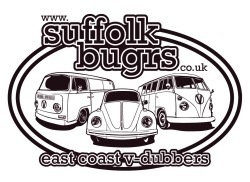 Suffolk bug'rs are a friendly family orientated Volkswagen owners club, with regular meets, events and club camps. They are also organisers of the very successful Alive & V Dubbin Show. The Class 15 Preservation Society in its current incarnation was established in 2005 to ensure that the sole remaining Class 15, number D8233, is restored to working order and preserved for the enjoyment of future generations. The Anvil Tooling Limited can be found listed in the following website directories.